If you’re a growing company that’s rapidly adding new business processes and employees to the mix, you may want to consider adding a dash of Chief Marketing Officer (CMO). This senior officer can lead your marketing team and overall business to new heights of success while planning, executing and optimizing your marketing efforts. Sound good? Yes. But alas, you say, it also sounds costly. Not to fret. There’s a way you can reap the benefits of having a CMO on board without having to create a full-fledged, full-time position to do it. Go for a fractional CMO. Fractional employees work part-time hours, typically on a freelance or contractual basis. They’re especially ideal for growing companies that may not have the budget to hire on a slew of full-time employees. While a fractional employee is similar to a part-time employee by working fewer than 40 hours per week, they differ by having a more flexible schedule, often working off-site and having a lineup of their own clients for whom they provide services. Whether you need a fractional CMO for 10 or 30 hours per week, time spent working with your company can bring a bastion of benefits. Growing companies often have a sales team that reports directly to the company founder/CEO, putting another task on the CEO’s already packed plate. A fractional CMO can step in as the sales team go-to, guiding their efforts and relaying information as needed. Marketing activities in many growing companies are frequently scattered across the board, lacking coordination and sometimes even rhyme or reason. An experienced CMO can rapidly establish an overall game plan, assigning and organizing available resources to essential activities. Well-heeled CMOs will have a solid grasp of marketing analytics, as well as how to use them to your advantage. A CMO can use analytics and other data to drive results, recommend effective tactics, steer you toward the most efficient marketing automation software for you needs, recommend and use the latest tools and technologies, and otherwise suggest and employ marketing methods that have been successful in past CMO engagements. Not only can a CMO help you to allocate your marketing budget, but he or she can likewise ensure the budget dollars are being spent to engage the right audience. A CMO’s past experience, hard data and overall goals can contribute to the most powerful use of even the smallest budgets. While analyzing data is good, transforming that data into action is even better. A qualified CMO will have you covered. You’ll be able to measure your fractional CMO’s effectiveness by how many hot leads he or she can produce as well as how quickly those leads end up in the hands of your sales team. Just because you may have a marketing strategy in place doesn’t mean it’s working. A knowledgeable CMO will be able to examine your strategy, strengthening its weaknesses, capitalizing on its strengths or scrapping it altogether for a new strategy that provides a measurable impact on revenue. 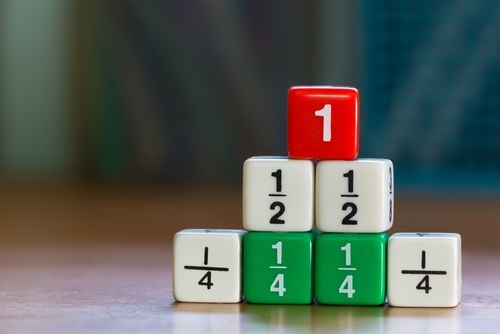 You can kick off your own strategy for success by truly considering if a fractional CMO may be just the ingredient you need to keep your growing business on track for success. Need some marketing support? Let's Discuss.